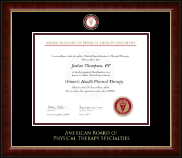 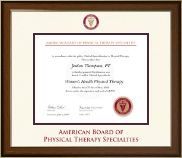 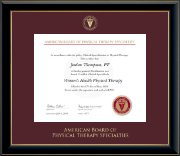 Choose one of our American Board of Physical Therapy Specialties certificate frames, then customize and make it your own! 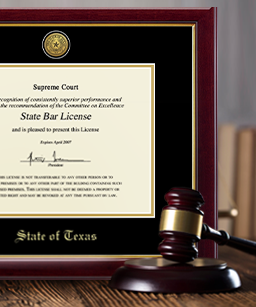 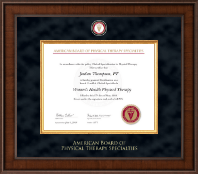 Our official APTA document frames are the perfect showcase for your professional certification. 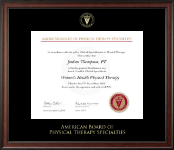 Each frame is handcrafted in the USA and custom made to fit the official ABPTS credential. 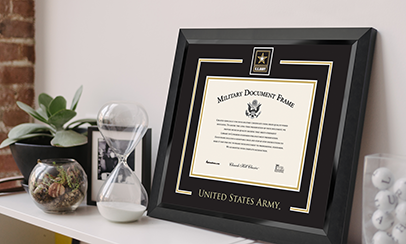 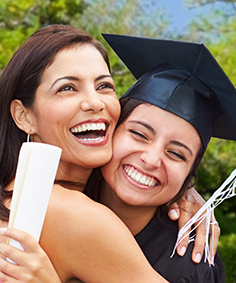 To create coordinating frames for other important documents, check out Create-A-Frame or search for other organizations, colleges, and universities. 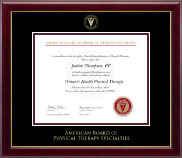 We are proud to partner with the APTA and ABPTS. 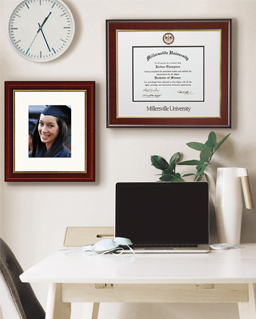 All frames are of the highest quality and " Made in the USA".